This brush pack's a best seller! Smart Buy - Save 25% over the competition! 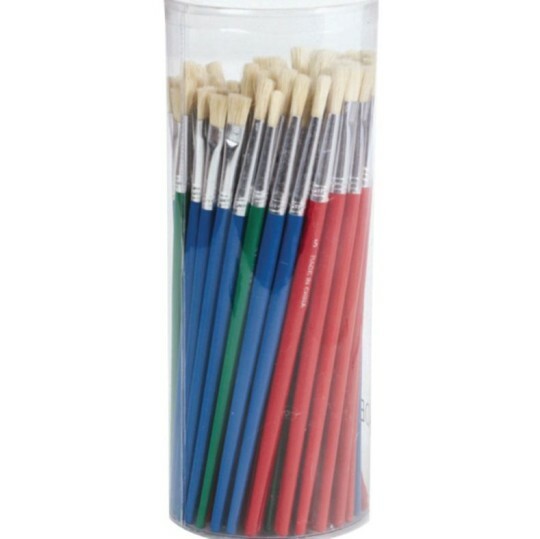 72 round and flat brushes (12 each of 6 sizes). Wood handles and tapered shed-proof bristles. I used the brushes with my art students and they were perfect. Large number of brushes that tend to not hold up over time. The bristles begin to break down very quickly so these brushes can only be used a few times before they are garbage. Paint miscellaneous items with seniors.Easy to use. Good Length.